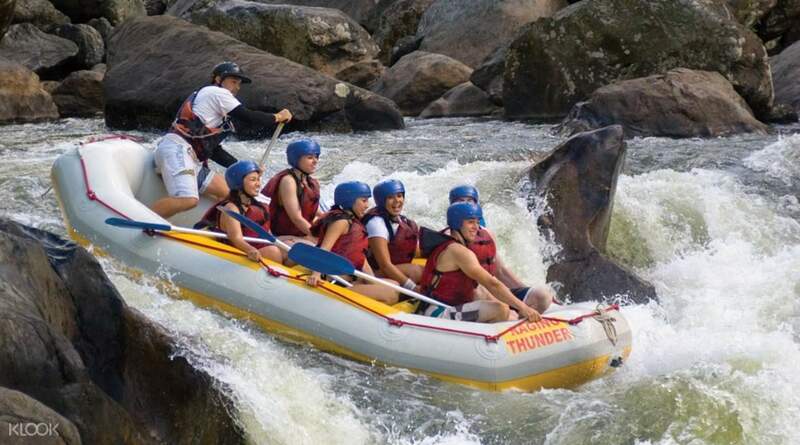 Go on an action filled rafting adventure in Cairns and explore the magnificent scenery around Barron or Tully rivers. Kick off from Cairns and enjoy a convenient transfer right to the rafting location. Pick between two package options: half day rafting down the spectacular Barron River or a full day of rafting down Tully River, regarded as one of the best rafting spots in Australia. Hold on tight and paddle your heart out on a 2 or 5 hour adventure, led by fun and professional rafting guides. 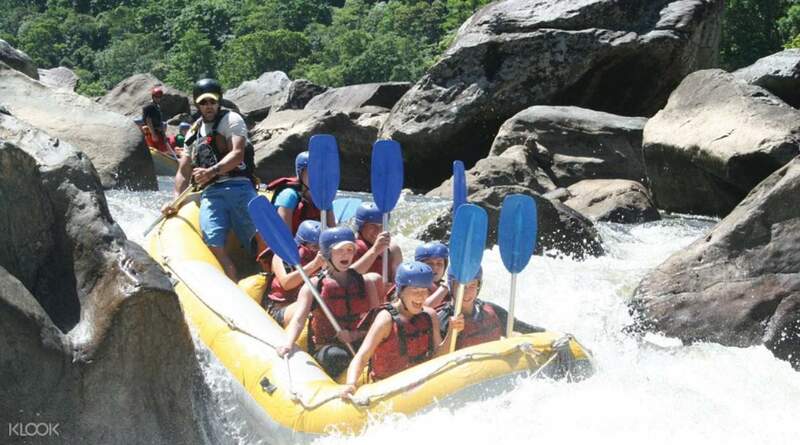 Your half day rafting trip includes a relaxing swim in the famous Lake Placid and the full day Tully River rafting is accompanied by a delightful picnic lunch on the river’s bank. Whatever choice you make, a great time surely awaits. very exciting time, the whole trip was smooth and professional, safety training was very clear, we have Sammy as our instructor. he was very friendly, very caring. however the pick up time that said by the apps was 1330 but the bus didnt show up until 1350, later we find out it was always 1350. so just make sure your meeting point and time is correct. there will be delay due to the route pick up might be running late. $40 for the whole boat photos, if you like the page you will get 5$ off, also if you share boat with other people you can split up the cost. very exciting time, the whole trip was smooth and professional, safety training was very clear, we have Sammy as our instructor. he was very friendly, very caring. however the pick up time that said by the apps was 1330 but the bus didnt show up until 1350, later we find out it was always 1350. so just make sure your meeting point and time is correct. there will be delay due to the route pick up might be running late. $40 for the whole boat photos, if you like the page you will get 5$ off, also if you share boat with other people you can split up the cost. Absolutely loved our extreme rafting trip. Our instructor Jonny was brilliant and made us feel safe throughout the day (and ensured we got wet too!). Probably would wear shorts rather than bikini bottoms next time though! Absolutely loved our extreme rafting trip. Our instructor Jonny was brilliant and made us feel safe throughout the day (and ensured we got wet too!). Probably would wear shorts rather than bikini bottoms next time though! We went on the white water rafting and we have never had so much fun! My friend was very scared to start with but the instructors helped her with this. I would 100% do again! We went on the white water rafting and we have never had so much fun! My friend was very scared to start with but the instructors helped her with this. I would 100% do again! How fantastic. It’s very awesome. How fantastic. It’s very awesome. Well organized, pick up on time! Instuctors are informative, passionate and friendly! Scenery rainforest is amazing! Such a great experience! Well organized, pick up on time! Instuctors are informative, passionate and friendly! Scenery rainforest is amazing! Such a great experience! Is a really exciting experience! Coaches are experienced and funny. We need to pay for photos, but they worth it! Is a really exciting experience! Coaches are experienced and funny. We need to pay for photos, but they worth it! Went for half a day on Barron river. We had an instructor called Jacky who was great. This was one of the best things to do in Cairns. Went for half a day on Barron river. We had an instructor called Jacky who was great. This was one of the best things to do in Cairns. Instructor will make sure you are having fun and enough wet! However, the river is relatively steady so excitement is not enough for me. Anyways, it is a good one! Instructor will make sure you are having fun and enough wet! However, the river is relatively steady so excitement is not enough for me. Anyways, it is a good one!